Yup, the title says it. 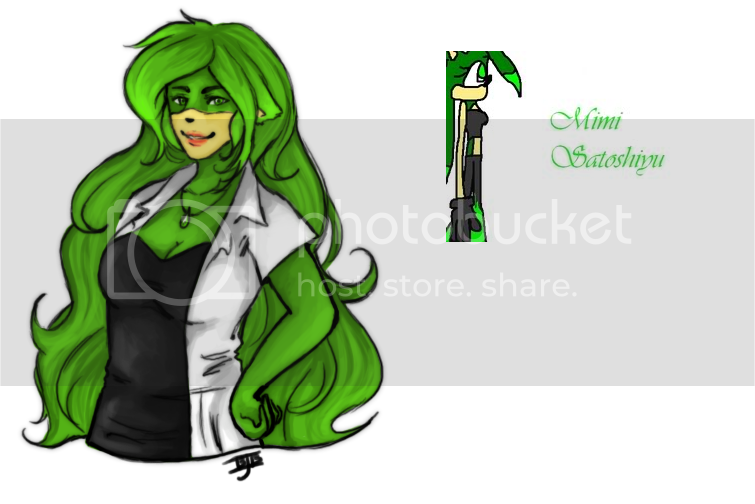 I just feel like I really need a new start on deviantART, and a new account says it all. I have moved accounts before, but this time I am very positive that I will not return to this one. I've given up trying to become fully active, seriously. I try to be super active, then something happens and life gets in the way, and I feel bad for not being active, and I just become afraid of coming online in fears that there are riots at my profile page or something, idk. Yo, watchers! Wanna join my group? Whooaaaa all these deviations out of nowhere! Sorry about that, you guys! I didn't realize there was a schedule option (if it's not premium) until after the influx of AWESOME FANTASTICAL DEVIATIONS. I have one more to submit after this since I forgot it, but it's great, promise. Just wanted to upload a journal to let you guys know I'm alive and okay. The new semester started in college and one of my classes is pure hell. 3-D Design is the absolute worst and it takes up a LOT of my time. Watchers, PLEASE READ: To Sketch or Not To Sketch? Hey, everyone. I know my dA has been very barren as of late. I am not submitting as much as I used to, and college makes it far worse. I'm not leaving dA or anything, though, but I want your opinion. The fourth and final draft of Tales of Magical Muffin Land. I have been trying to draw digitally, but it's been difficult. Nothing ever looks right. I'll probably end up doodling small things to get my head back in the game and hopefully draw bigger stuff, stuff I want to draw. Still no news about scanning stuff. Thanks for reading. <3 Good things to come! Well, some good news. I'm currently typing this to you from my laptop! Bad news: everything is still wrong with my laptop. It's at the end of its days. Okay, let me tell you a couple things that are wrong. First off, the original hard drive was damaged so my dad replaced it with the hard drive from my old laptop. A six year old hard drive is in my current laptop. I would be okay with this if it didn't randomly cut off at some points and get a message that said it stopped responding but recovered. Second. I can't connect to the Internet without an ethernet cable. That ruins the purpose of a laptop really. Fourth. It's running like a piece of crap and it's not a good time to reinstall Photoshop. The most it can handle is Skype and Google Chrome working at the same time. Don't get me started about Skype. Fifth. The screen cuts out if it isn't being used. Sometimes it shuts itself off. So yeah. Good lappy isn't doing so good, but I really appreciate it's effort. Not sure I can scan any more pics with this laptop, but I can see if I can get stuff working with my dad's computer. I do have some traditional works in progress to help keep me busy. Since I'm going to college starting this august, I HAVE to get a new laptop. That's a requirement and I can't go with something so broken. I'll hopefully have some good news for you then. I'm really sorry for the inactivity, but since I'm taking commissions, that will pick up more when I get this fixed. That's why there's like, no activity. My laptop did a whoopsie and now it won't start up. Good news, all my stuff is backed up. There won't be any drawing digitally for a while though unless I get dad's programs to work. just remember that i drew both of these images, all by myself. one at a young age, the other a few months ago. you can and WILL improve. and you know what else should be ~free~? I'm going to be practicing on larger images from here on out. I'm talking 1200 px by 1200 px and larger. I NEED TO PRACTICE ON DETAIL YOU GUYS. Larger images will help that. Also, I REALLY NEED to start taking commissions. I know I've mentioned that more times than I'd like, and I know my watchers aren't made of $$$, but if you want to help a brotha out (via points or money through paypal, i do not mind) just give a shout yo. The price is up to you, but after a long time passes, I will have the prices myself. The reason larger images relate to commissions is that people are willing to pay more for larger images. I need to get accustomed to that so I can sell really good pieces in real life as well as the Internet. Along with this, this means that I have to make more general pieces of art. More awesome pics of scenery, more "general" things, like monsters and characters that are not part of my stories. This does not mean fanart. A few pieces of fan art may come out in a while (especially if I plan to sell things at a convention or something) but I am not a fanarty person. You see Pokemon every once in a while and I used to upload a lot of MSPA related things. Please don't expect me to increase that amount because it's not gonna happen. I'm speaking ORIGINALITY here. Gotta pump that up! More info: I'm going to open up a shop assisted by my dad in the summer. It's gonna be selling all kinds of really cute/cool/awesome stuff in the form of pins, necklaces, rings, patches, lanyards, keychains, shirts, prints, and more as time goes on. There is a really good chance I'm going to partner up with a really close friend of mine as well, who is well known for her freakin legit fursuits, oil paintings, and ALL THE WOLVES. Her style is considerably more serious than mine and may apply more to the realistic masses, but it's EQUALLY AWESOME IF NOT MORE. She'll most likely help with 3D things (we might sell things like animal ears, tails, and plushies) and take commissions as well. Sadly, she doesn't have a dA but I promise she's awesome. But Jade, I don't want to see you advertise a bunch of stuff in your deviations!! I'm not going to, and I'm not one of those people. I most likely will in journals (with images) if enough people are interested, but if no one is, my business will move elsewhere. I'll be taking commissions on Solia Online as well in the form of their own currency as well as Paypal, and I KNOW for a fact that I will get more commissions there. I'm not leaving dA at all, though. I never would! This is a place to share my art and it's what I'll continue doing until the apocalypse happens and the Internet is only used by emotionless robots. I'm ready to make art my life and live off of it. I need to make that start before I live on my complete own, and have my store as a (hopefully) busy enough job that I don't need to work at a fast food restaurant or something while I'm in college (which will be next fall). REALLY want to start drawing? School's ending the 13th of June, so I'll be able to kick up the activity soon. I hope to draw many wonderful things, and finish the things I've already started on. Now taking money with Paypal! If you're interested in a commission, just ask and we can talk out a fair price. I'll do commishes for points but I would really appreciate money, especially since I'm going to college and I can't have a job just yet. 15$ is the minimum I would guess, and even though to some people that's not much, I'll make the 15$ very worth it. Full colored, all that jazz. Or well, whatever you want really. I have no idea how to set up my Paypal so you can pay me, but I'll be looking around. If you know, please let me know <3 I'd love to get some actual business going on here. I graduate from my high school June 13th. It's almost over. Just about two months to go! Yeah, so, I was in a bit of an art block which is why it's been kinda desolate in terms of artwork. I do have a lot of things made now, though. I have a Mega Banette doodle that went out of hand, I still need to draw my yearly Allie portrait (I do one around my birthday, around a month late with that now xP), and I have two pictures in progress of the Pokemon, Florges (one of my favorites from 6th gen) and lastly, I got some Animal Crossing pics in progress. There's a lot about to come your way now and I plan to finish all of them. Not exactly sure if I'll submit both Florges pics since they're very similar, but one is digital and the other is traditional. Realistically, the traditional one will probably be submitted first. May 31, 2015 Yo, watchers! Wanna join my group? May 26, 2015 Whooaaaa all these deviations out of nowhere! Nov 14, 2014 The active majority has spoken! Nov 13, 2014 Watchers, PLEASE READ: To Sketch or Not To Sketch? Jul 29, 2014 hang in there, loves! Jul 4, 2014 *sigh* Computer troubles. May 2, 2014 Now taking money with Paypal! Apr 24, 2014 The Final Stretch!